Shocking numbers are thrown around in abundance in the realm of conservation: the small amount of the Earth’s surface protected(1), the rate of tropical rainforest deforestation(2), or terrifying species extinction rates(3). 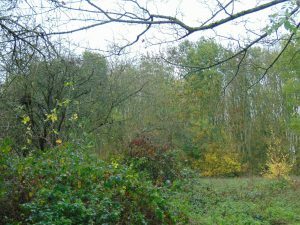 But not all those who dabble in the environment and conservation are negative about the Earth’s prospects: Emma Marris’s (2011) Rambunctious Garden suggests we should expand our definition of nature and should learn to enjoy all that beyond the “pristine”, even to the point of accepting introduced or invasive species. In 2003 an academic called Michael Rosenzweig started going on about a new conservation concept, reconciliation ecology, which suggests that rather than protect the last refuges of relatively untouched nature, or restore that we’ve already ruined, we humans should learn how to carry out our day to day production, consumption and lifestyles in balance with nature(4). Let’s share human spaces with nature, and create socio-natural spaces! This new ecology can be applied to river management(5), it encompasses green roofs and walls(6), and can be useful for birds, butterflies(7), herpetofauna(8) and plants – and these are just the early days! Only, I started to think: are all spaces being intensely used by humans really capable of being altered so that animals can enjoy the area too? For example, whilst landfills are now often returned to natural habitats (woods, meadows, parks) once their active lifetime is complete(9), during the time period in which they are being filled (often decades), there doesn’t seem to be much one can do to entice animals to share the space. Is there? Many countries and areas continue to use landfills as a major component of their waste management and processing; even within the European Union almost 50% of waste is still sent to landfill(10), The good news is that there is some possibility for life within landfills. 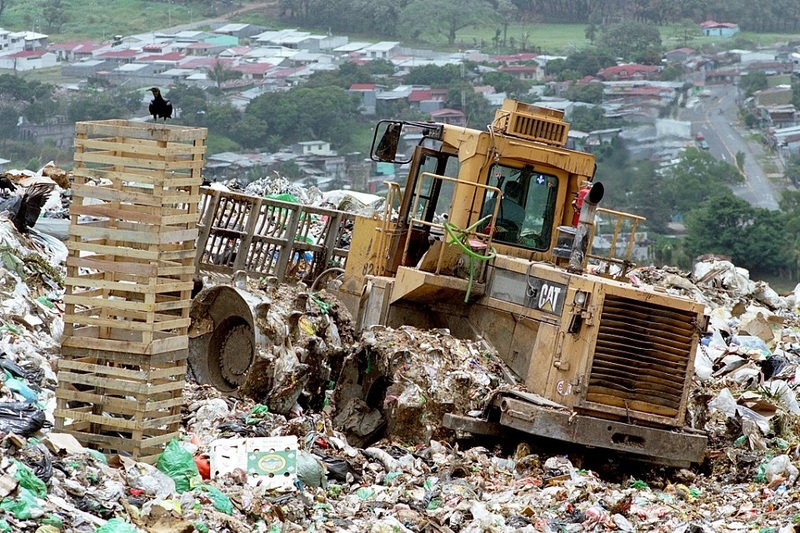 Research has detected the presence of simple organisms (protozoa and bacteria), and birds, rats and insects are also often to be found at landfills. The “problem” is that these aren’t often species in any particular need of conservation interventions; in fact, often the life that is found at landfills is considered to be annoying; a pest. This isn’t enough to meet Rosenzweig’s (2003) initial definition of reconciliation ecology: the goal was never to produce habitats suitable for any and every species, but for specifically targeted species of conservation efforts. There seems to be little hope for reconciling active landfill practices with species-targeted conservation. Landfills are continually researched, monitored and developed to limit the movement of gases and toxins from within the site to outside of it but the space of the waste itself remains highly toxic and inhospitable. Furthermore, as Hume (2013) describes(11), at one of the most efficient, largest landfills in the United States, management includes constant compressing of daily deliveries, making the active landfill site habitat so harsh that even rats are no longer able to survive. There are best-practice approaches to landfilling that may make the land affected more amenable to species, but to date there are few strategies known or applied that both facilitate landfill operability and some level of conservation. Beyond bacteria and protozoa there are few examples of promoting species inhabiting the same space as landfills; those that thrive are driven away, and those that are desired to be protected are kept away(12). 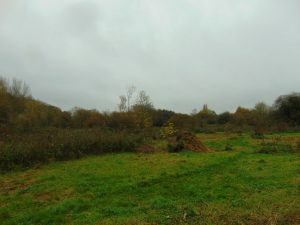 Set-asides for landfills are not unusual, with parcels of land left untouched with remnant habitat of the landscape before the landfill development. Restoration ecology is becoming common practice for many landfill projects today, with designs to establish grasslands, woodlands, or specific habitats, such as for birds(13). However, none of this addresses Rosenzweig’s call for landscapes to be able to continue to serve human needs as well as meet habitat requirements for non-human inhabitants within the same space and the same time. In the end, it seems there is little hope for reconciling nature and active landfill waste after all. (11) Humes, Edward. 2013. Garbology: Our Dirty Love Affair with Trash. (12) Watson, Duncan, Valerie Hack, Matthew Fasham, and Matthew Fasham. 2000. Wildlife Management and Habitat Creation on Landfill Sites: A Manual of Best Practice. Richmond: Ecoscope Applied Ecologists. Cooperatives – The Anwser to increase Resilience?